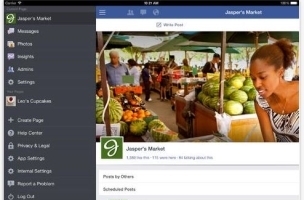 Facebook updated yet another mobile application, rolling out version 3.0 of its Pages Manager for iOS, with new features including the ability for page administrators to pin and unpin posts on their pages. Pin and unpin posts to the top of the page Timeline. Create and edit events on iPad. Import phone contacts and invite them to like your page (U.S. only). Turn photos on page timeline and photo albums into profile pictures. Pages Manager users: Have you updated your apps yet?